A new and highly innovative course. Combine an undergraduate degree with an integrated Masters. A degree in archaeology will open up new worlds. Whether in the laboratory or in the library, you will develop a wide variety of transferrable skills whilst exploring questions about people in the past and in the present. The Integrated Masters of Science in Archaeology is a four year first degree in Archaeological Science suitable for those who wish to study archaeology in greater depth than in a three-year BSc. Take a journey into the past using scientific methods and discover one of the most exciting subjects available! Archaeology at Southampton takes you on a scientific journey from the earliest human ancestors to the reception of the past in the modern world using state of the art scientific techniques. Southampton is home to world-leading scholars in Archaeological Science, and we have special interests in maritime and underwater archaeology, human origins and human evolution, bioarchaeology, radiometric dating and isotopic analyses. We are passionate about sharing our enthusiasm in our teaching, and our Faculty provides a stimulating and engaging environment in which you will thrive and develop skills in debate, critical thought and analysis. Your first three years will follow the track of the BSc in Archaeology, but the fourth year gives you the chance to develop your strengths and interests with an integrated Masters degree. During your fourth year, you can either focus on a particular research area or you can opt to maintain a broad and diverse curriculum. Whether you decide to focus on your own special interests or choose to maintain a wide breadth of experience and expertise, you will develop enhanced skills and knowledge. All the modules offered provide appropriate skills for transferring our into the wider job market or for progression on to a research degree. Archaeology studies the human past through its material remains such as buildings, monuments, artefacts, biological remains, written sources and the landscape. The Integrated Masters in Archaeology offers a unique perspective on the human past in a broad geographic and temporal context, providing you with an understanding of how the human species evolved, how human societies came into being, and how and why they changed over time. The course enables you to discover different periods and different peoples, expanding your knowledge of humans from their first appearance some two million years ago up to the present day. You will learn about the many methods and techniques we use to find, excavate and investigate archaeological sites and materials. This involves a wide range of techniques and critical thinking skills, combining aspects of both sciences and arts. The Masters of Archaeological Science allows you to apply cutting-edge scientific methods to answer questions about the lives of people in the past. What did climate change mean to people living at the end of the last ice age? What can the chemical composition of human bones tell us about changes in diet during the medieval period? Studying for the Master of Science in Archaeology will allow you to gain valuable understanding of the defining events of the past, recognise their impact upon the present, and develop an insight into the future – using scientific methods and approaches. The initial undergraduate grounding (following the framework of the BSc in Archaeology) will provide you with a grounding in the basics of scientific analyses in archaeology & anthropology. The final year enables you to really develop your own interests in specialist fields. This degree programme enables you to target the career path you wish to follow after graduation, such as by developing forensic or bioarchaeological studies, geophysical survey or underwater archaeology. As a student you will have access to state-of-the-art laboratory facilities and the option to take complementary units in geography, geophysics, bioengineering, oceanography, geology and life sciences. The BSc Archaeology also provides you with opportunities to take practical placements both in the UK or abroad, such as in Hungary, Sweden, Crete and the Caribbean. This programme covers a wide range of world archaeology, from the first appearance of humans two million years ago. Focussing on scientific approaches, you will learn more about the methods used to find out about the past. The programme normally is studied over four years full-time, but may also be taken on a part-time basis. The programme is divided into modules. In your first year, you will take core modules on the development of archaeological & anthropological thought, analysis of archaeological artefacts & materials, and archaeological methods for fieldwork & analysis. You will also select modules from options ranging from human origins to the foundations of the modern world. Period-based and practical modules introduce the breadth of the subject in year one, with more specialised modules and research being developed in the second and final years. You will also attend a weeklong field school at the end of your first year, and then participate in a minimum of three weeks of scientific fieldwork as part of an active research project. This is undertaken usually during the summer vacation of your first or second year of study, and may be in the UK or overseas. Throughout your degree, there are further opportunities to undertaking more fieldwork, including in overseas research projects. In your second year, you will develop your knowledge of quantitative and analytical methods, and increase your understanding of the relevance of archaeology to the modern world and choose modules from a wide range of approaches and periods (including Maritime archaeology & seafaring; Bones, bodies & burials; Critical chronologies and archaeological dating). During your third year, you will undertake a detailed piece of research within archaeological science and write it up as a dissertation. This may focus on forensic anthropology, radiocarbon dating, human evolution and hominid dispersals or on ship construction. You will also take 6 modules from across a wide range of topics, both scientific and more humanities oriented in nature, covering topics as diverse as Ancient Egypt, Museums, Molecular Archaeology or Anglo-Saxon England. In your final year (the integrated Masters year), you will develop your own specialist interest with a dissertation on a research topic of your choice, and will take a further 6 modules from a wide range of options. These 6 modules may work together to form a particular focus, such as on bioarchaeology or maritime archaeology, or you may choose to maintain a wide series of academic interests. Archaeology at Southampton was rated third in the UK for the impact of its archaeology research (2014 Research Excellence Framework), with its focus on theoretically informed archaeological science being particularly praised. We benefit from being located in a £3m purpose-built archaeology building, with excellent laboratory facilities and a large dedicated undergraduate teaching lab. We also have access to very high-end equipment across the university, such as to enable isotope geochemistry, and CT-scanning. AAB to ABB from three A levels including a Grade B in a science based subject. Applicants taking the Extended Project Qualification (EPQ) will also be made an alternative offer one grade below the standard offer, conditional on an A grade in the EPQ. We accept all A levels except General Studies. International Baccalaureate 34 to 32 points, 17 to 16 at higher level; and 6 in a higher level science based subject. A typical contextual offer is ABB from three A levels including a Grade B in a science based subject. The programme is divided into courses (modules), eight being taken at each Part. Usually four courses are taken in each semester but a 3/5 split is possible if agreed between a student and their tutor. Single modules have a credit value of 15, while double modules have a value of 30. Each part has a total credit value of 120. Select 75 credits from the following groups Please be aware that it may be possible to take modules from outside your department that are not listed here. However please note that all non-compulsory module choices are subject to module and timetable availability. For more information please contact your Personal Academic Tutor. Alternative Modules You may choose to substitute up to TWO of the ARCH optional modules for selected alternative modules of equivalent value from across the University. If you are selecting modules from this group please make sure that you will be taking an even number of modules (compulsory and optional) in each semester. For advice on selecting alternative modules please speak to your Personal Academic Tutor. You may also choose to substitute up to TWO (i.e. 30 credits) of the non-compulsory modules for selected alternate modules of equivalent value from across the university. At least two of your option choices must be science-orientated. You may choose to take science options from outside the Discipline of Archaeology. Select 5 Optional modules from the following groups. **Please note at least 2 of your option choices this year must be from the following science orientated modules - ARCH2001, ARCH2017, ARCH2024, ARCH2027, ARCH2036 & ARCH2042** Please be aware that it may be possible to take modules from outside your department that are not listed here. However please note that all non-compulsory module choices are subject to module and timetable availability. For more information please contact your Personal Academic tutor Tutor. You may also choose to substitute up to TWO (i.e. 30 credits) of the non-compulsory courses for selected alternate modules of equivalent value from across the university. At least three of your option choices must be science-orientated. Select 6 Optional modules from the following groups. **Please note at least 3 of your option choices must be from the following science orientated modules - ARCH3042, ARCH3044, ARCH3036 & ARCH3014. ** Please be aware that it may be possible to take modules from outside your department that are not listed here. However please note that all non-compulsory module choices are subject to module and timetable availability. For more information please contact your Personal Academic Tutor. Please select 30-45 credits. Note: If you select ARCH3046 please contact the Student Office at archhist@soton.ac.uk to confirm which semester you wish to take. Select 90 Credits Please select a total of 90 credits from the following list. Students must choose at least one module defined as central to a specific area of expertise (ARCH6121, ARCH6126, ARCH6127, ARCH6412, ARCH6119, ARCH6411, ARCH6413). Equipment All laboratory equipment and materials are provided. Other Students are expected to provide their own portable data storage device. All software is provided. It is advisable that students provide their own laptop or personal computer, although shared facilities are available across the University campus. Printing and copying Where possible, coursework such as essays; projects; dissertations is likely to be submitted on line. However, there are some items where it is not possible to submit on line and students will be asked to provide a printed copy. The University printing costs are currently: A4 - 5p per side (black and white) or 25p per side (colour) A3 - 10p per side (black and white) or 50p per side (colour) Please Note: Paper sizes not recognised by the printing devices will prompt you to select the size and then charge a minimum of 50p per black and white copy and a maximum of £1 per colour copy. 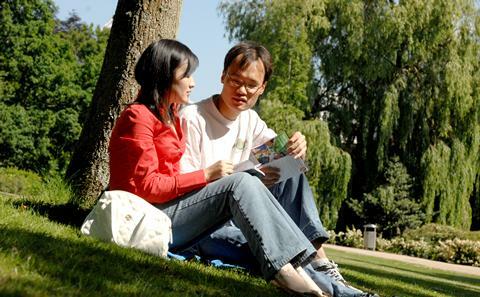 You can pay for your printing by using the money loaders or by using print copy payment service by going to: https://www.southampton.ac.uk/isolutions/students/printing-for-students.page The University Print Centre also offers a printing and copying service as well as a dissertation/binding service. They also provide a large format printing service, e.g. Academic posters. An Archaeology degree is excellent preparation for future employment, offering a balance of sciences and arts and providing a range of both practical and intellectual components. These allow graduates to demonstrate many of the abilities that employers are known to look for, such as working as part of a team, presentation skills, evidence-based reasoning, problem solving, project management, report writing and independent critical thinking. A high proportion of our graduates find full-time employment within six months of completing their degree (94% in 2012 compared with the national average for all graduates of 91%) and they follow a very wide range of career paths. Recently, our graduates have found jobs in such diverse areas as accountancy, administration, civil service, cartography and aerial photography, computer engineering and animation, geographic information systems, graphic design, life-guarding, nursing, the police, the armed services, environmental health, countryside management, engineering management, marketing, business, journalism, retailing and entertainment management. The MSci Archaeology is also an ideal preparation for further study (for a research degree) or for a subject-related career in professional Archaeology/archaeological science, heritage management, digital heritage, museums, archaeological/scientific research, teaching (in subjects such as geography, biology or archaeology), geophysical survey, or heritage tourism. Archaeology graduates have a wide range of skills that are valuable to employers, with confident computing, numeracy and data analysis skills, associated with a humanities grounding in the development and construction of arguments. Archaeology graduates are respected for their presentation and group working skills, as exemplified by fieldwork and laboratory work. Examples of well-known people with archaeology degrees include Sandi Toksvig (writer & broadcaster) Lord Mark Price (formerly Managing Director of Waitrose, appointed Minister of State for Trade & Investment in April 2016), Sir Tim Smit (responsible for the Lost Gardens of Heligan and creator of the Eden Project), Hugh Laurie (writer & actor), Iestyn Davies (singer), Paul Crake (Executive Director of the International Psychoanalytical Association, formerly British Film Institute), and Stephanie Swainston (author). Recent Southampton Archaeology graduates include Stephanie Porter (forensics, Thames Valley Police) and Jasmine Brighouse (video editor, Sky TV). You will develop your knowledge and understanding through lectures; tutor-led and student-led seminars and tutorials, laboratory practicals, group projects, individual and group presentations, field visits, fieldwork and independent research. At Part One the emphasis is on discovering the nature of archaeology and its methods, and a basic outline of the development of the human species. At Part Two you will consolidate and enhance your knowledge of the human past and of archaeological methodology. At Part Three you will begin to specialise in the study of selected periods, regions and themes, as well as carrying out a piece of independent scientific research for your dissertation, while at Part Four you will have the opportunity to specialise in a particular area of archaeological science and to undertake a second, specialist, scientific dissertation. Assessments of your knowledge and understanding are very varied, including examinations, extended essays, shorter pieces of assessed coursework, practical exercises/assignments in both the laboratory and the field, individual and group presentations, portfolios and dissertations. Progression is recognised in the assessment scheme, which tests the breadth and complexity of knowledge and understanding through to consolidation and application. Please note: As a research-led University, we undertake a continuous review of our programmes to ensure quality enhancement and to manage our resources. As a result, this programme may be revised during a student’s period of registration; however, any revision will be balanced against the requirement that the student should receive the educational service expected. Please read our Disclaimer to see why, when and how changes may be made to a student’s programme. Activities particularly designed to enhance your thinking skills include tutor-led and student-led seminars and tutorials, group projects, oral and group presentations and the dissertation. Extended essays and shorter pieces of assessed work such as book reviews, individual and group presentations, peer and staff feedback in seminars and tutorials, and the dissertations will all assess your intellectual skills. Progression is recognised in the assessment scheme, which tests your cognitive skills, moving from articulation of concepts through to synthesis and evaluation. Your key skills will be developed through tutor-led and student-led seminars and tutorials, IT workshops, library sessions, group projects and independent research. You will be asked to demonstrate your key skills through the submission of a variety of written assignments, through participating in individual and group oral presentations, in collaboration with peers in class exercises and group projects, and in dissertations. Progression is recognized in the assessment scheme, which tests key skills at appropriate levels of study. Your professional skills will be developed in the laboratory and field through the handling and recording of objects and materials, and in the recording of field data. Professional and practical skills are assessed in feedback from field directors and peer workers during fieldwork, and during laboratory-based practicals. These pathways will allow you to develop the enhanced skills and knowledge that may be required for entering specific workplace settings. All route ways, including the more general Integrated Masters in Archaeology (with no defined sub-specialty) will provide appropriate skills for progression onto a research degree and transfer out into the wider job market.